If you are looking for exceptional value, our garage builders have everything you need and more. Use this website to customize a storage shed or garage exactly the way you want then order it online and have it delivered to your backyard. Backyard storage sheds featured on this website are quality built by Amish in Lancaster, PA… a place known for strong work ethic and integrity. These handmade sheds are the perfect addition to your backyard because they add value to your property and provide the extra storage you desire. They can be custom designed, ordered online and delivered to your backyard all from a few mouse clicks. In addition to storage sheds, our expert garage builders are able to provide you with pre-built 1-car and 2-car garages and playhouses. Our custom shed builders also have experience in building playhouses that give your children hours of enjoyment while adding beauty to your backyard. Our custom dog kennels provide the perfect home for your pet, a safe place for them to enjoy the outdoors or relax comfortably in the dog cabin. We also offer chicken coops, gazebos, and lawn furniture that you will love! 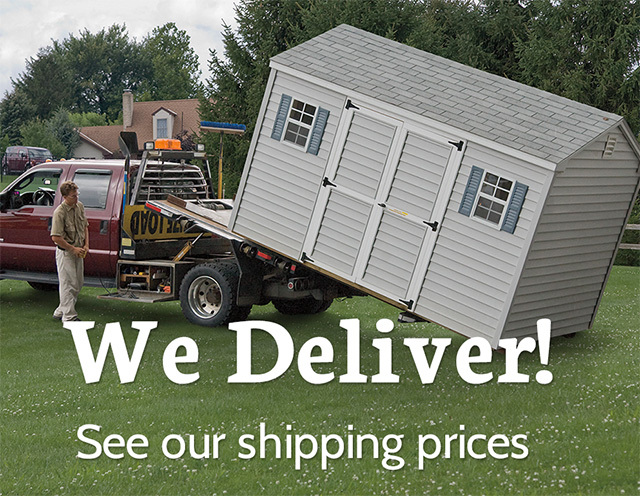 Our Amish shed builders understand what it takes in order to meet our customer’s unique needs. We pride ourselves on creating long lasting utility sheds that will not make a dent in your budget. Our shed company is the perfect option for building your storage needs that will also compliment your home’s overall look. Whether you’re looking for extra storage for your family or you need the perfect spot for your gardening tools, a shed built by us can do all of that and more. From pool supplies to tractors and lawn care supplies, our Amish shed builders will create what you want, plus more! 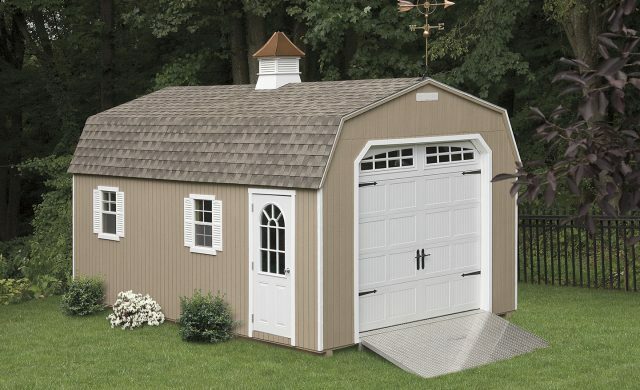 Our storage shed builders offer a wide variety of storage sheds that are ideal for our unique customers. From A-frame sheds and classic cape sheds, to mini barns and Victorian cottage sheds, each storage shed offers a different look that will look great in any backyard. Not to mention, our shed builders also offer a wide variety of backyard structures that will give your home a more finished look. Swing sets and cabanas are great products that your family and house guests will love! The possibilities are endless when it comes to your future unit. Not to mention, we deliver and offer 5% off ALL web orders! Contact us today for more information about our small storage shed options. Contact Our Garage Builders in PA! Here at Amish Backyard Structures, our garage builders offer a wide variety of products from storage sheds and garages, to outdoor animal shelters and gazebos. We’re eager to get started on upgrading your backyard with one of our high-quality products! If you’re looking to build a storage shed in your yard, contact our shed builders and let’s get started on your FREE quote! We can’t wait to get started on your outdoor shed today! * 5% discount applied to the base price of all structures.